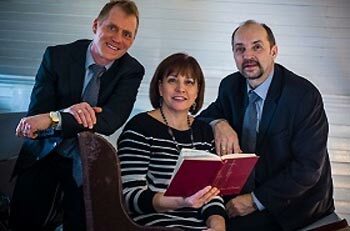 Three and Company is a contemporary southern gospel trio from Alberta, Canada with smooth harmonies and songs to uplift and encourage the church body. They have been singing together as a trio since 2000. The group is a Member of Canada’s Gospel Music Association. A Country Gospel Group with an attitude of gratitude and fun, began in April of 2001. Good old songs presented in a refreshing way, some original tune’s and a mix of entertaining personalities. Since Visions beginning, the group has performed extensively throughout Alberta. Part of their purpose is to entertain at hospitals, nursing/seniors homes and for those less active and fortunate than us.